Italian President Giorgio Napolitano has handed in his resignation as head of state. The government accepted the 89-year-old’s resignation on Wednesday morning. He had served an unprecedented nine years as the country’s head of state but said his advanced age had made it increasingly difficult for him to perform the duties of his office. 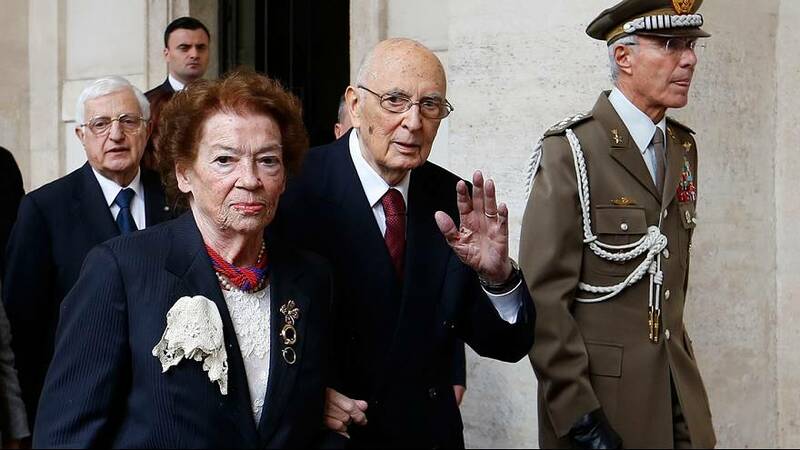 He left the Quirinale Palace, the official residence of the president, with his wife Clio after a brief ceremony while also saying a emotional farewell to his staff. He was dubbed “King George” by the Italian press for his influence on national politics. The role of the president is seen to be mainly ceremonial but Napolitano was never afraid to speak out. The man who was first elected to parliament 61 years ago and stayed there for 10 legislatures was known for his discretion and his preference for working behind the scenes.